I've got a little crush on Flights of Nancy today. They create beautiful, leather handbags (with gorgeous batik lining). 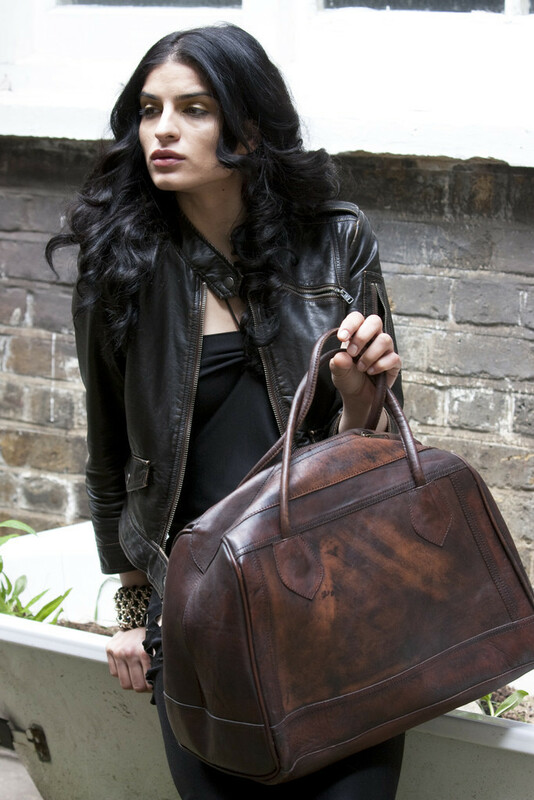 This leather satchel is utterly divine. Oooh, can we also note the laser cuts on her skirt. They're excellent. This bright yellow messenger bag is £60. Flight of Nancy aim to source their leather ethically - adhering to the same standards as Fairtrade, ensuring their suppliers are provide a decent salary and have no underage workers. Oh I do like this holdall bag. This bag wants to go on brilliant sneaky nights away. This one wants to go on weekends away. Just tell me which airport. I do love a cross body satchel. Handsfree handbags are the way forward. Prices for the bags are reasonable - large ones are around £100, medium bags around £60. If you want a little piece of Flight of Nancy but don't have much money to spend? Their little shoulder bags are just £30. I know. It just needs a holiday to go with it.